The vision of Bright Internet was first adopted and announced by the Council of Association of Information Systems under the Grand Vision of ICT-enabled Bright Society. The notion of Bright Internet was presented in keynote speeches and panels at AIS Conferences such as the International Conference on Information Systems (ICIS), Pacific Asia Conference on Information Systems (PACIS), European Conference of Information Systems (ECIS), American Conference of Information Systems (AMCIS), International Conference of Electronic Commerce (ICEC), Workshop of AIS SIG Information Security and Privacy, and the IFIP Security, ACM/IEEE Cloud Computing, and many others. 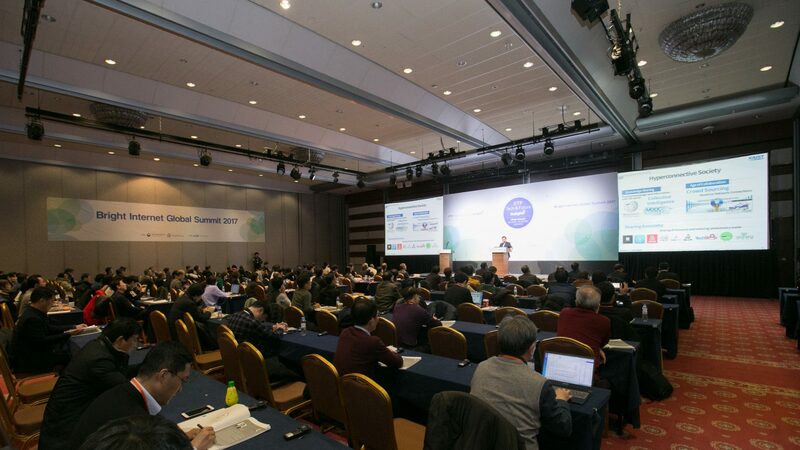 However, it was necessary to hold a dedicated meeting, thus the first Bright Internet Global Summit was held in December 8-10th of 2017 in Seoul, Korea as a pre-ICIS Workshop. Bright Internet Global Summit (BIGS) is a global forum of exchanging the vision and research progress and outcomes on various issues of Bright Internet. It will become also a channel to derive agreements among stakeholders and member countries for mutual benefits which cannot be realized by a single country alone. Stakeholders include individual researchers, research institutions, companies represented by business leaders and practitioners, academic institutions, government agencies, legislators, standard organizations, and international organizations. The national symposiums with global perspective such as Bright Internet China Symposium (BICS) were held at Xi’an Jiaotong University at Xi’an in 2017, and at Tsinghua University at Beijing in 2018. Korea has also held a number of workshops on Bright Internet. The next regular BIGS will be held at San Francisco in 2018, Munich in 2019, and New Deli in 2020 along with the International Conference on Information Systems. BIGS may be held in other occasions possibly with PACIS and other conferences, or as an independent event when necessary. For any inquiries on hosting BIGS and national symposiums, contact jklee@kaist.ac.kr.